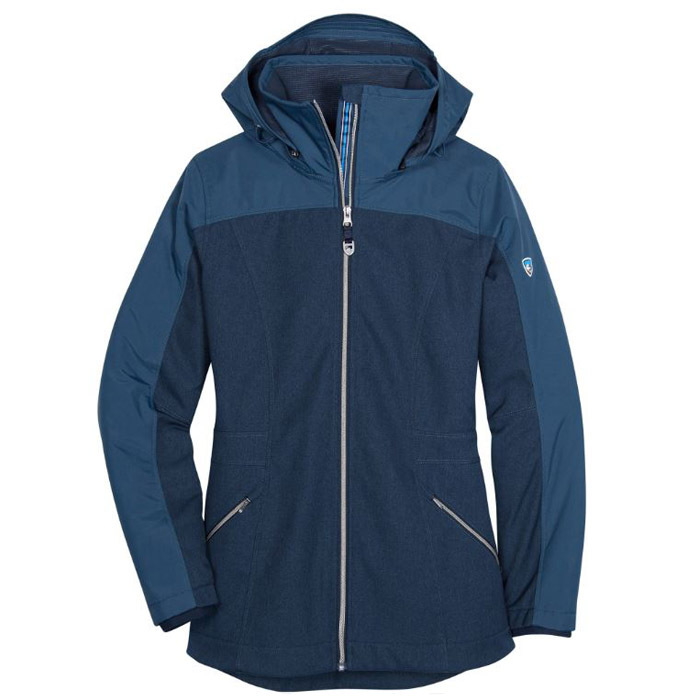 The Kondor Jacket has a tailored look that makes it seem like the jacket might have a rigid fit. However, Kuhl used a four way stretch fabric that gives you a lot of movement and comfort. That base fabric is coated with a highly effective DWR (Durable Water Repellent) and then augmented in crucial areas with waterproof nylon. While the company didn’t take the step of waterproofing with taped seams or waterproof zippers, the rest combines to make a highly water resistant jacket. The interior doesn’t disappoint. 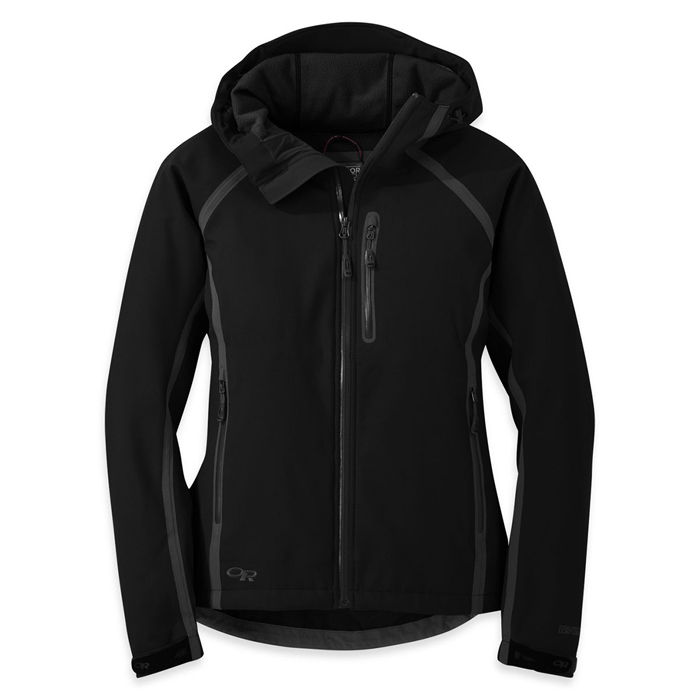 The grid patterned fleece is soft and gives this softshell jacket mid-range warmth retention. 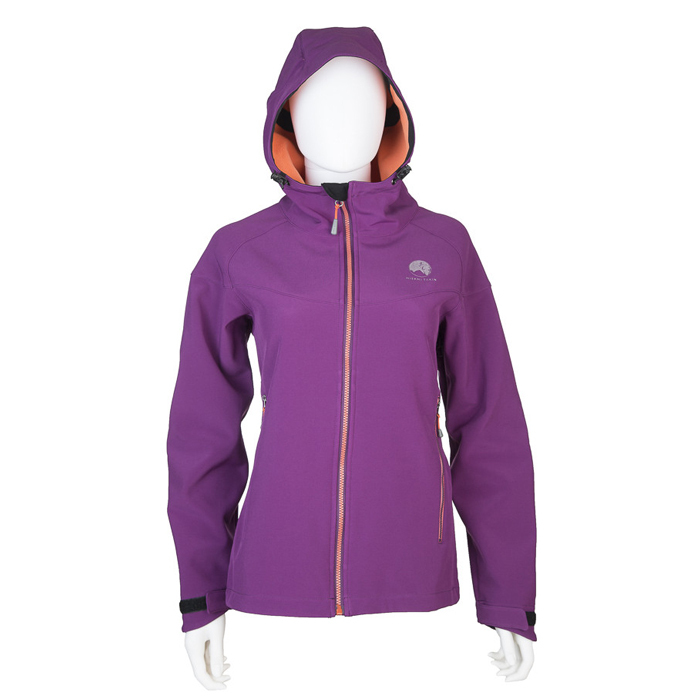 The metal zippers amp up the class, while the removable hood gives you the choice of rain protection or taking the polish up a notch. There are cordlock adjustments in the waistband and hood to customize the fit, and interior cuffs that help seal in the warmth. Field Notes: Street style aside, we still managed to push this women’s Kuhl jackets to its limits. It saw a lot of rain, wind, snow, and it even got to go toe to toe with a waterfall. Overall, its weather protection and warmth retention stood up for hours. As it is water resistant, not waterproof, it was a little unfair to throw it up against a waterfall … but when you have one handy, you have to try. The material did a fantastic job of taking the literal beating of water, with the only weak point being the zippers. The connection point at the hood let the water creep in. However, minus the aggressive gallons being hurdled on top of our Active Junky tester’s head, it kept water out fairly well. 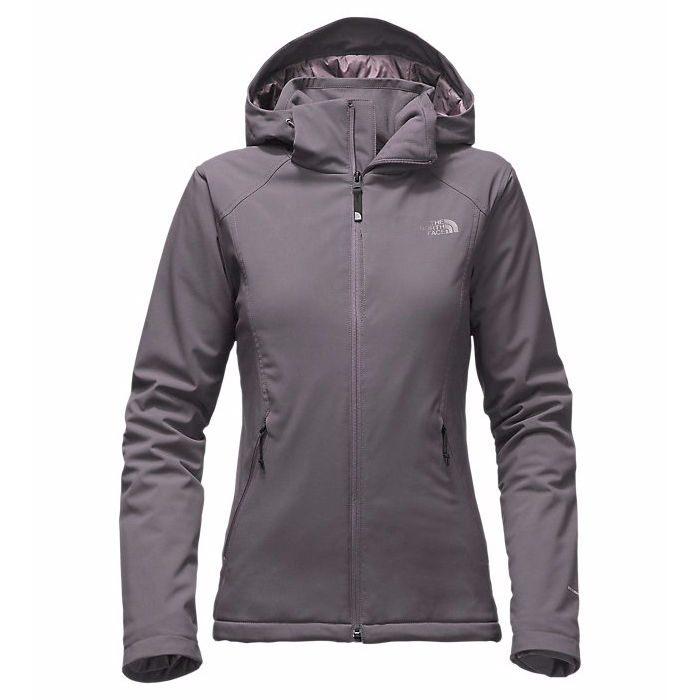 Urban styling, a feminine silhouette and solid weather protect sum up the Kuhl Kondor Jacket. 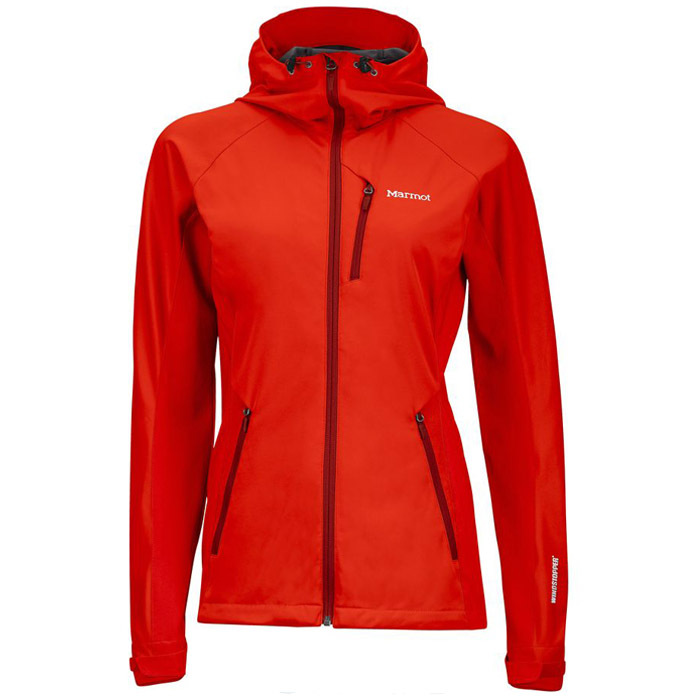 The company focused on small yet important details for a softshell jacket with street style that holds its own in the great outdoors. Going from trail to town. Our pick for spending a day exploring and then maintaining style while rolling right into the more urban setting of downtown Boise.